Gillian has been a solicitor for nearly 35 years and a specialist family lawyer for the last 22 years. During that time she has developed passion for learning more about the context of the work she does. For many years she chaired the Skills and Support committee of Resolution with the aim of promoting essential skills training and pushing the boundaries of the average family lawyer’s knowledge. The idea of FLIP Faculty has been bubbling under for a long time so its launch in 2017 marked the realisation of the dream. I have trained on mediation and collaborative foundation courses for FMA and Resolution. 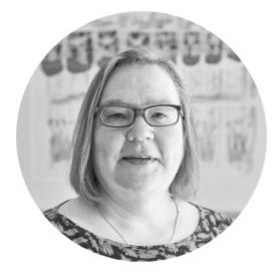 In addition she has run workshops on aspects of collaborative practice for Resolution, at IACP conferences, and privately for groups in Italy and around England. I have developed a number of other workshops on her own and with Chris Mills which she is pleased to offer now through FLiP Faculty. I have long wanted to help good lawyers become great ones by providing the training that is generally not available in law colleges or in practice. The sort of training that, looking back on a long career, you wish you had had at the beginning. I also have a passion for silence a much undervalued resource but which provides the opportunity to discover so much.